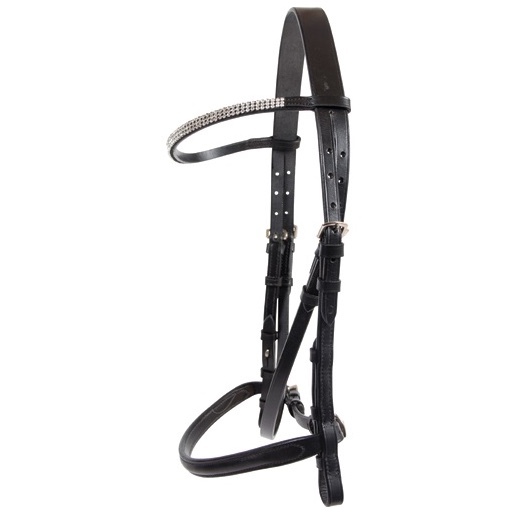 Leather show bridle for your mare. Are you going to inspection and want your mare to look her best? 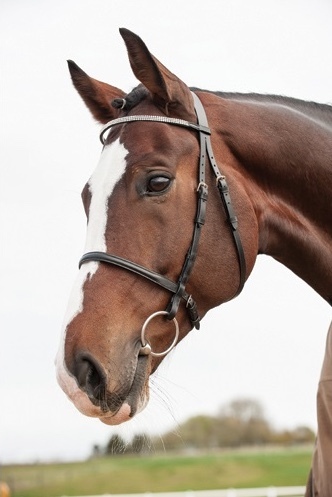 Then this streamlined leather show bridle is what you need. 3 rows of sparkly crystal on the browband adds to the elegant look. Stainless steel hardware. Available in Black size Full.